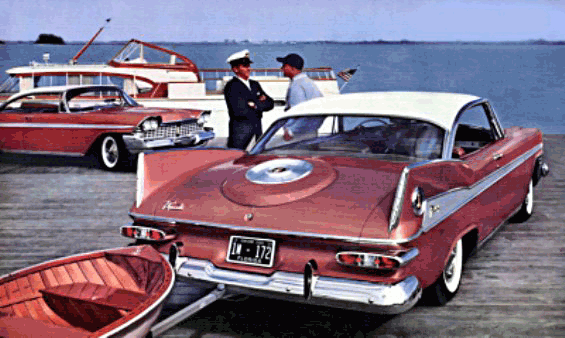 I love big fins as mentioned in my previous post on another Chrysler product, the Imperial. For me it’s as much a piece of art as it is an automobile. Think about it, what car stands out for you now? Sure some do like the Corvette for me or the Mustang or Camero but outside of that, not much. Quick, tell me what was the last car you saw drive by? 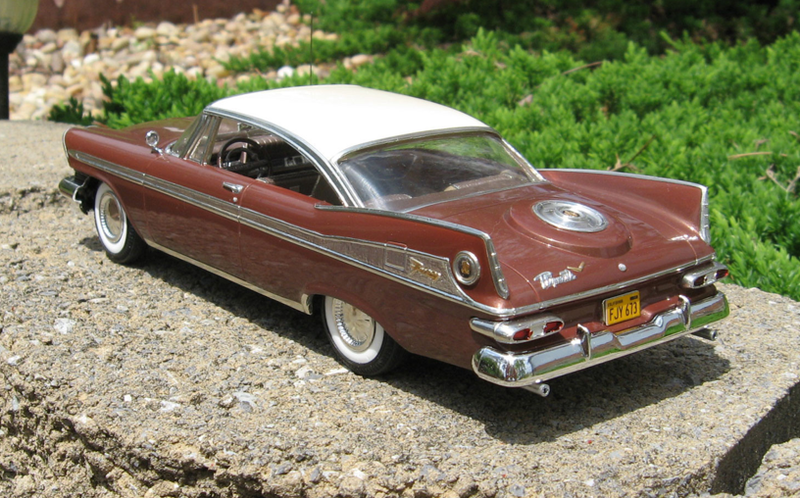 Now if a ’57 Plymouth Belevedere drove by, you’d really notice that, wouldn’t you? 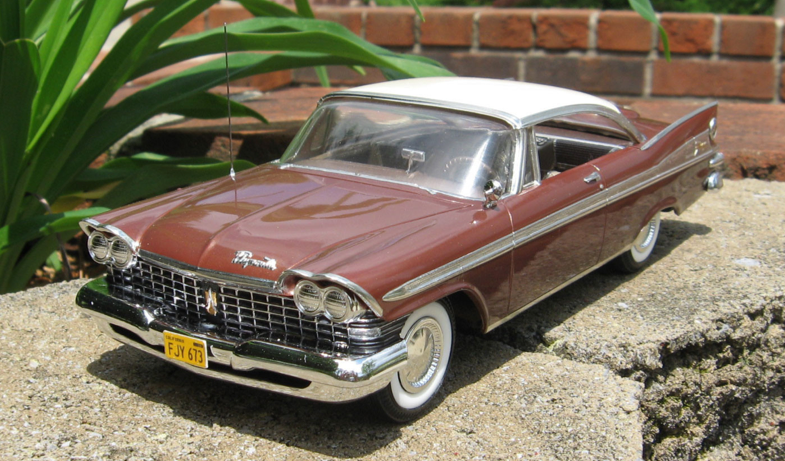 For the third generation of cars from Chrysler Corporation and completely changed its car lines, dropping the bodies that had been brought out for 1955 and replaci ng them with the designs heralded as Virgil Exner’s best 1957 would be a banner year for the Chrysler Corporation, and Plymouth as its design was so revolutionary that Chrysler used the slogan “Suddenly, it’s 1960!” to promote the new car. Belevederes were loaded and positioned as a top of the line Plymouth. Unfortunately, the cars were rushed into production (argh! 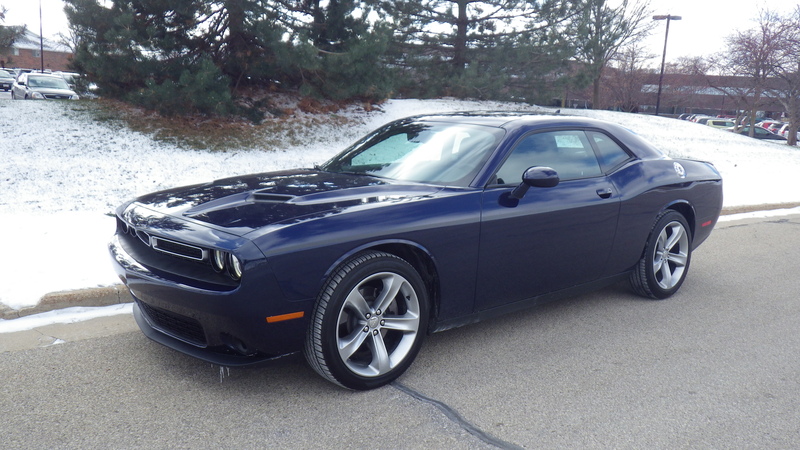 ), and while they sold extremely well, they also ticked off customers, and destroyed Chrysler’s reputation for quality and reliability. Rust was everywhere and parts broke off. Gee there is a surprise. 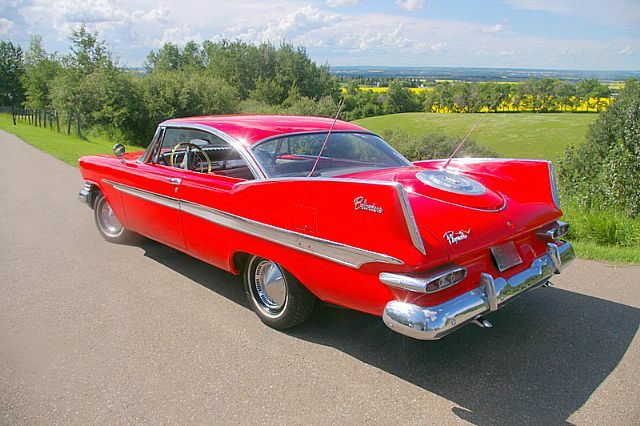 The car did have its claim to fame later on as a ’58 appearing as the star in the movie Christine. After 33 years, this car still lives as you can see in this video. Since the cars were pretty much rust buckets at the end of their lives restoring one will require lots of time and deep pockets. 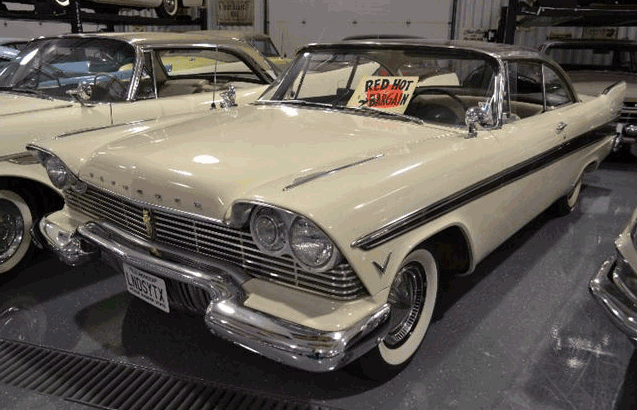 Here’s a video of a ’59 which is rare and boy does it look good. On ClassicCars.com I found this ’59 for sale for $45,000 which is about the going rate for a restored model. Look closely in the first picture. This guy is into Mopar. A Dodge sits right next to it while in the background is I believe a ’59 or ’60 Rambler. Sorry, had to get that in. So think about that promo model of the Plymouth that your dad gave you as a kid. If you haven’t blown it up or burned it (which by the way does look cool) it is probably sitting in a box somewhere. Occasionally you look at it and say to yourself, maybe one day. Well check out this professionally rebuilt model I recently found on eBay and it sold for 898 bucks! Now you ready to start? 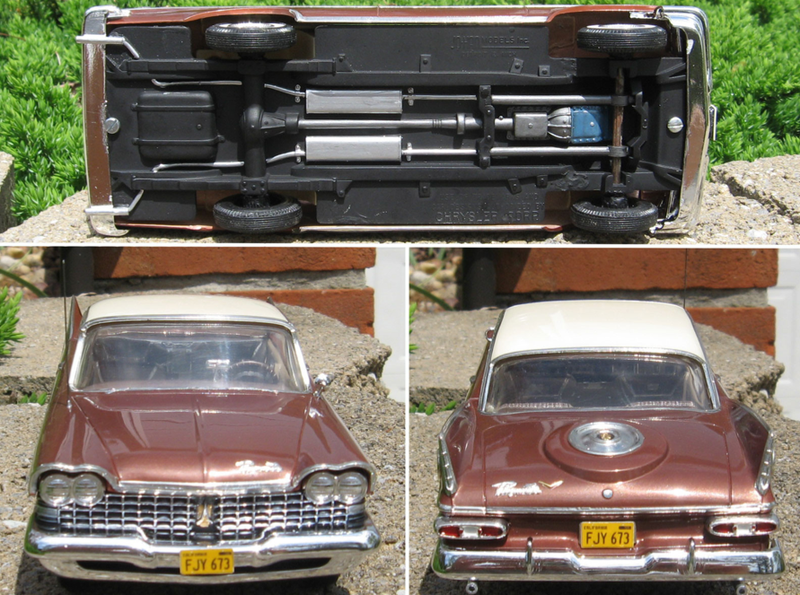 I have featured this builder before and he does off the charts restorations. If you don’t look to long at the background, this Plymouth looks like the real deal. Everything is better than like new. Check out the chrome where it looks like it just came out of the box. Look at the fins and spare tire on the trunk. Don’t forget to gaze at the finish to and it doesn’t take too much to imagine your reflection on it. And he always goes the extra mile with the underside where the exhaust and bottom of the engine are painted the correct colors. Cherry, cherry, cherry is what I say about this restoration job. Doesn’t it inspire you? Now go find that car you have and get going.